Ask your Representatives and Senators to cosign a letter lead by Senators Durbin (D-IL) and Grassley (R-IA) and Representatives Bilirakis (R-FL) and Schiff (D-CA) to the Chairmen and Ranking Members of the Labor, Health and Human Services, Education, and Related Agencies Appropriations Subcommittees urging continued federal investment in public health research and surveillance initiatives focused on addressing the lifelong needs of Americans with congenital heart disease. 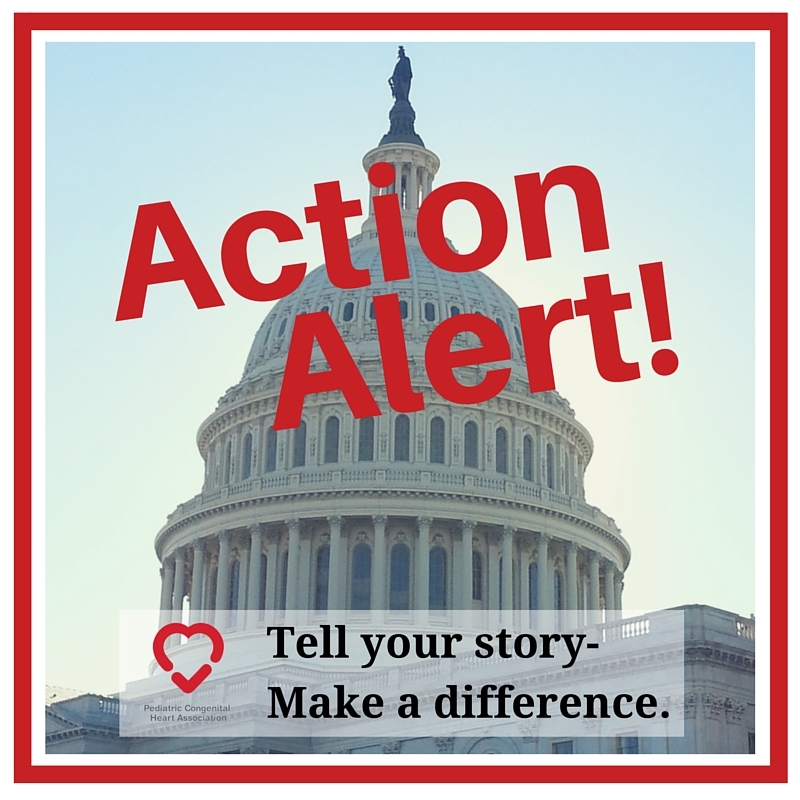 This letter helps ensure that this critical funding continues and builds champions for congenital heart disease in Congress. Here is an example of the letter that was distributed to the House. 2. Copy and paste the paragraph below – adding your own personal story. Subject: Sign the Congenital Heart Appropriations Dear Colleague Letter, Today! Demonstrate your support for this serious public health issue by signing the Congenital Heart Dear Colleague Letter. If you would like any additional information or sample report language to use, as well, please contact Amy at abasken@conqueringchd.org. Your investment in our advocacy program provides great returns as we successfully advocate for millions of dollars in research funding.